G’day, Fellas! How are you doing? 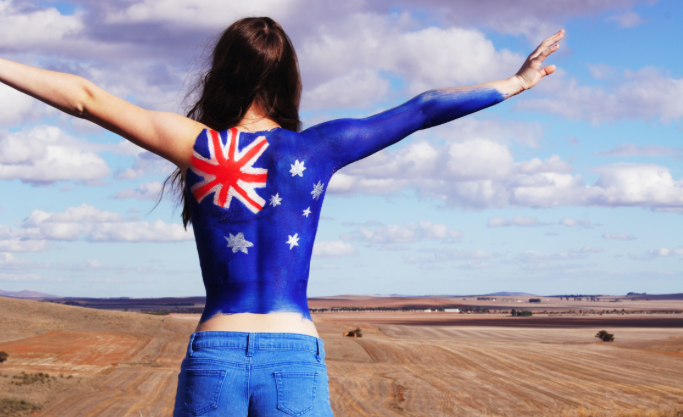 Do you know that Australian English is so distinctive? Some other English native speakers even can spot Australian English easily. Here are some: ‘mate,’ ‘dope,’ chuck,’ ‘whoop-whoop,’ ‘ambo,’ ‘free-loader,’ and ‘sickie.’ Have you heard some of them? Mate (n) means sob or bro. Elderly even use ‘love,’ ‘tiger,’ ‘sunshine’ to address the youth. Dope (adj) means cool (keren). It can be used for any goodies even food! Chuck (v) means to put in casually. A: How do I heat the curry? B: Just chuck it in the microwave. Whoop-whoop (n) means antah berantah. He’s lost his consciousness (dia pingsan). Free-loader (n) means orang yg makan tapi nggak modal. Sickie (n) means cuti sakit. That’s it from me, guys. Thank you so much for the retweets and favourites! Hope you like it. See ya! Compiled and written by @wisznu at @EnglishTips4u on Thursday, Augustus 13, 2015.